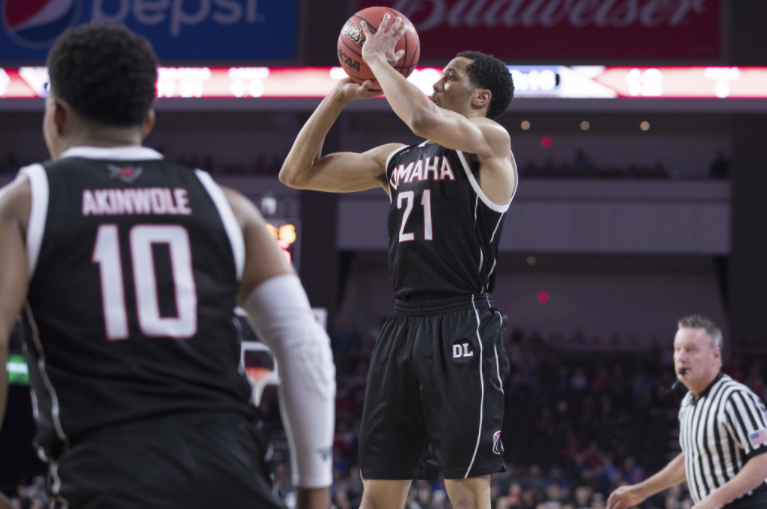 Zach Jackson was a bright spot for Omaha this season, leading the team in points and rebounds. He will be back next season. 2001. That was the last time that the Omaha men’s basketball program had fewer than 10 wins, excluding this past one. With departed talent, constant injury and a tough road schedule, the Omaha team suffered through a dreadfully long season, ending in a quarterfinal match at the Summit League Tournament that was never really close. The team finished the season with nine wins – a record low in NCAA Division I play for the Mavericks. In fact, this was only the sixth time since 1969 that an Omaha team finished with less than a double-digit win count. So, what happened? Obviously, the loss of Tre’Shawn Thurman, Marcus Tyus and Tra-Deon Hollins was heavily felt. Also, star forward Mitch Hahn was out with a shoulder injury for approximately half of the season. Rebounds. During the 2016-2017 season, the Mavericks garnered a total of 617 boards. This year, the number shrunk to 498. Perhaps that had to do with height – Tyus (who graduated in 2017) was 6’1″, and Hollins (who also graduated last spring) was 6’2″, but the real kicker was Thurman’s transfer to Nevada (Thurman was 6 feet 7 inches tall). Indeed, Thurman led the 2016-17 Mavs with 248 rebounds. This year’s leader on the glass – guard Zach Jackson – only gathered 197. Although the differential between rebounds and opponent rebounds was much less this year than last (opponents out-rebounded Omaha by 60 boards in the 2016-17 season, compared to only four boards this year), Omaha’s quick-paced style of play depends on rebounding. Next year’s numbers will depend on the level of play from the likes of Wanjang Tut (6’8″ freshman) and Brendan Lipovsky (6’4″ junior), along with freshman Matt Pile’s progression as a player and rebounder. Defense. When comparing the ’16-’17 Mavs to this season’s team, there is a stark difference in almost every defensive statistic: blocks (107 then to 83 now), steals (262 then to 177 now) and turnovers (481 turnovers from opponents then to 366 now). While the opponent shooting percentages only increased slightly, the difference could clearly be seen in the box score. Next season will depend on the ability of current freshmen like Ayo Akinwole and Pile to keep stealing and close out on opponents with open looks. Passion. In my opinion, it’s as if the team collectively gave up after Thurman elected to transfer to Nevada last spring. On defense, hands rarely went up. On offense, the game pace was nowhere near what it was in the ’16-’17 season. 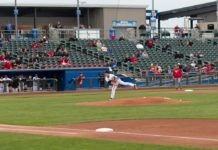 The Omaha team will have to work together to find that neck-breaking pace again if they hope to return to the Summit League Championship game. As it so happens, that speed depends on a defense that can steal and rebound the ball for fast-break points. There is some good news that can be found when looking through the annals of Omaha basketball history: only twice since the 1961-62 season has a Maverick team ever had back-to-back seasons under 10 wins. Fortunately, Omaha should only have to peek back to 2016 to find what they’re looking for.